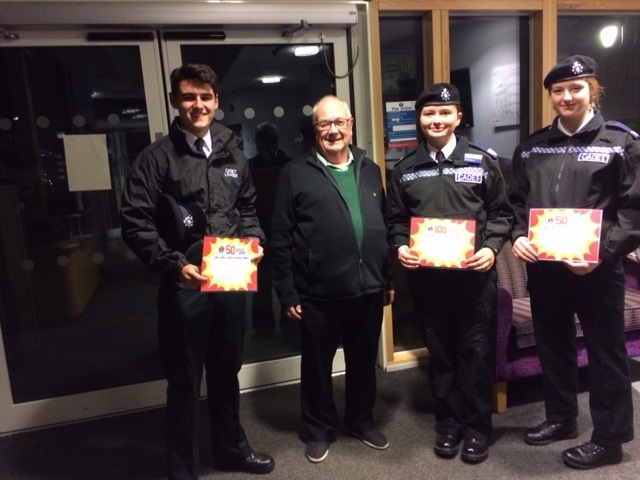 Lion Malcolm Harris presented YLIS ( Young Leaders In Service) certificates to three of nine police cadets who were due to receive them for completion of either 100 or 50 volunteer hours work in the local community over a 12 month period. Participation in this scheme is open to all 11 to 18 year olds (years 7 to 13) giving their free time helping others with any number of simple tasks such as walking a sick neighbours dog to more energetic events such as planting trees to help our environment. The nationally recognised certificates can then be used to support an application for full or part time work or entrance to a college or university providing additional information about the individuals ability to ‘go the extra mile’. Congratulations go to all those individuals who completed this challenge. 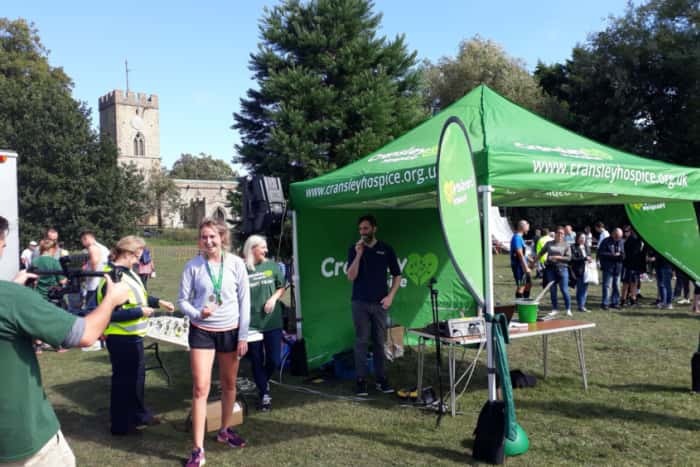 Cransley Hospice held their fundraising fun race 10k and half marathon in September raising over £25000. Kettering Lions helped support the event by providing Marshalling on the half marathon secton. Congratulations to everyone who ran on the day and we very much enjoyed supporting and encouraging and are very pleased that so much was raised for this very worth cause. Another 4000 pairs of spectacles on their way to Chichester Lions for sorting prior to their journey to France for grading. Their final destinations are developing countries where they are much needed and appreciated. Many thanks to all those who kindly donated their used spectacles. Many thanks to all the opticians in the area for taking part (Local Specsavers, Vision Express, Boots(shown below), Kettering Library, Fuller Team Rooms, Morrisons,ASDA, Cransley HospiceShop). We are also grateful to parcelforce for delivering free of charge. The tea party proved very popular, with all spaces booked, and a waiting list of guests. We were delighted to welcome the Mayor and Mayoress of Kettering to the party. 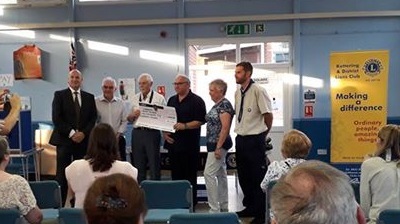 At Kettering Lions recent Community Grant Scheme cheque presentation evening,the Lions enjoyed hearing more information about each of the 5 groups and/orgnisations that had been successfully awarded £500 each through the annual scheme, and more details about what they planned to spend the money. Please see our facebook page for more details. 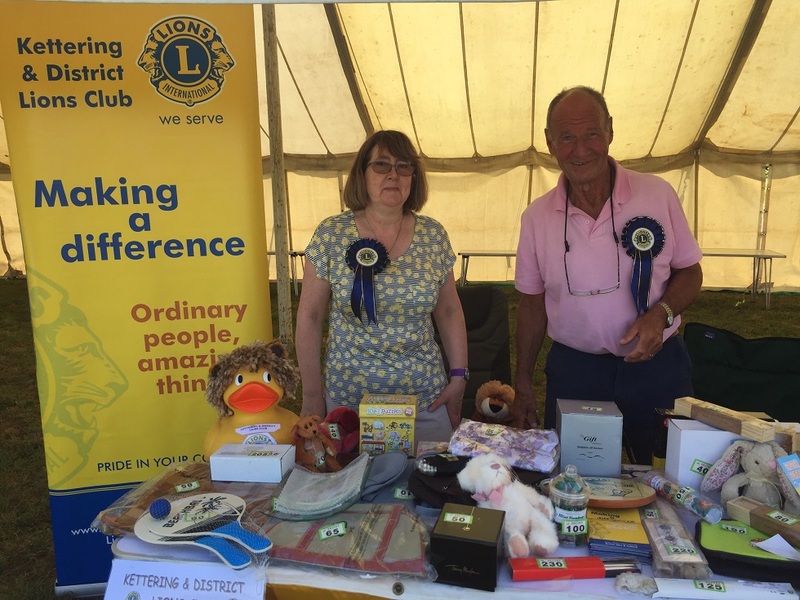 Kettering Lions had a great time at Burton Latimer's annual Duck race, telling people about the important work that the Kettering Lions club does for the local community (we're always looking for new members), and running a tombola stall and kids lucky dip stand which raised £106.50. A big thank you to everyone who came and supported our stall on the day. Our 46th Charter Evening was Celebrated at The Masonic Hall, Kettering, we hope that all who attended had an enjoyable evening, good food, good company and good entertainment, provided by Lincoln Noel, who, if you are given a chance you should go and see. We would like to say thankyou to Darren Garley Catering and his team for a lovely meal and their help with setting up the room. During the eveningDistrict Governer Chris Burrows presented 3 of our Lions with long service awards, they are from the left of the picture, Malcolm Harris, Peter Dyson and far right George Potter. 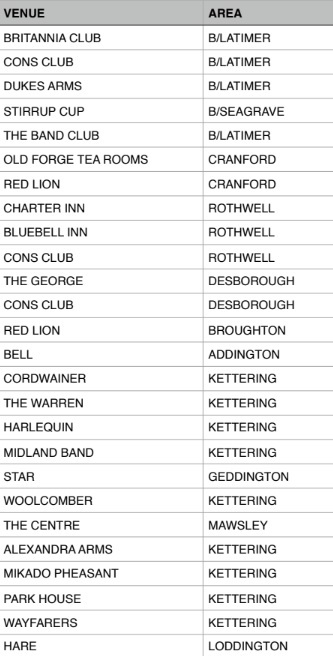 Kettering & District Lions club would like to thank everybody who donated money to our Santa’s Sleigh collections in Gold Street, Tesco and around several estates in Kettering and Barton Seagrave. Your generosity totalled £4040, which was spent on donations to those local charities, which provided hot meals to the homeless over Christmas, and to the food bank to supplement their food parcels for the needy. It also funded a party for children with special needs and mobility problems. 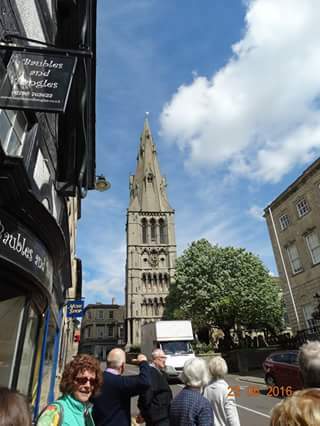 We would like to thank the Toller Church and Tesco for their help, and the Friends of the Lions for helping us with the collections, with a special mention for the Police Cadets who help us every year, for which we are very grateful. using ultrasound to scan the size of the veins, and this will halve the time from 50 minutes to 25, during what can be a very stressful time in the patients lives. The staff, and their friends and family have arranged a fund raising challenge every month for a year, starting with a sponsored slim, using a weighbridge for their total weight. Our club are very proud to suppor this worthy cause. We were pleased to be able to help the British Legion with their Poppy Appeal in November. Many thanks to the kind people of Kettering for their kind donations to this worth cause. Thanks also go to Morrisons supermarket for allowing us to collect in their store in Kettering. 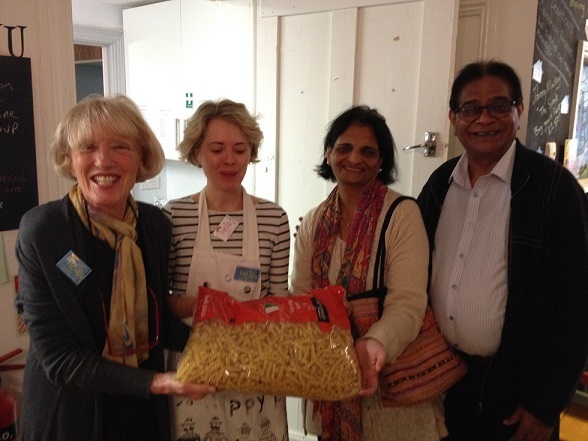 Lion Narendra & his wife Saroj recently visited Johnny's Happy Place in Kettering where meals are provided for the homeless. Here they are presenting much needed ingredients to the value of £100 to Johnny's mother & sister. Kettering General Hospital Childrens Wards - Kettering Lions sponsor visiting magicians. The club made a donation of £600 to POD Children's Charity, to provide sessions of magic & fun for children in Kettering General Hospital, in the photo from left are, Lion President Malcolm Harris, Matthew Garrett ( magician), Trisha Brigden (Play specialist at Kettering General Hospital) & Lion Keith Ogley. 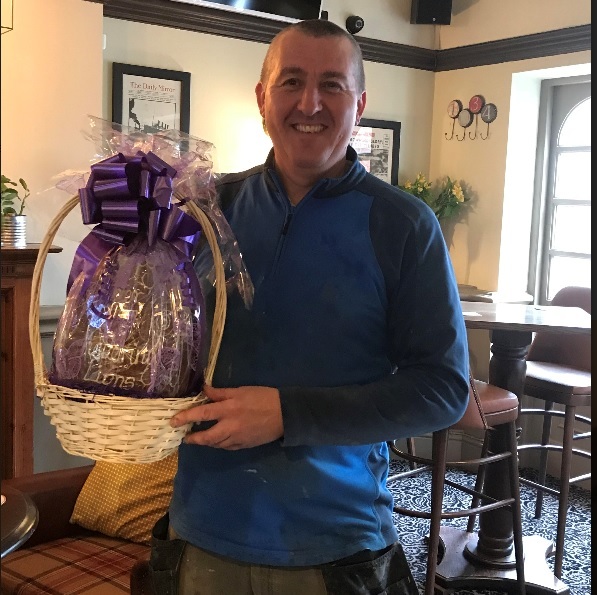 Malcolm Harris "I was really impressed by Mathew's performance, as he really entertains the kids who loved every minute and he ensured that they all had a balloon animal at the finish. " 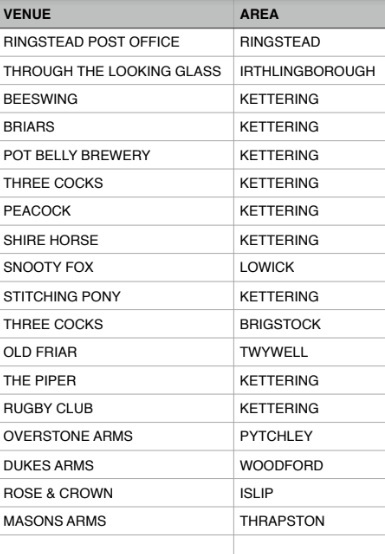 Kettering Lions are a friendly and active club with enthusiastic members. 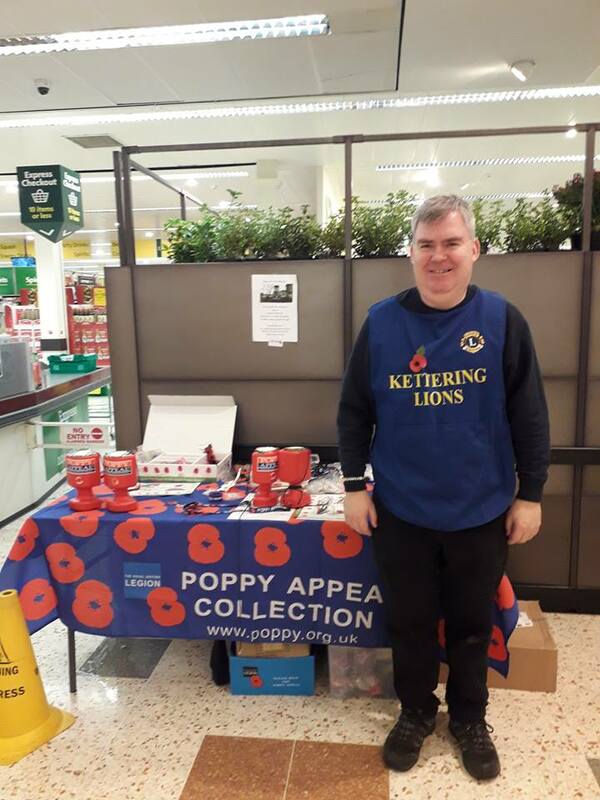 Kettering Lions Club always strives to fulfil the aims and objectives of Lions Clubs worldwide, which is for members to provide comfort and assistance to people less fortunate than themselves. The club welcomes men and women from all walks of life and has recently recruited several new members. 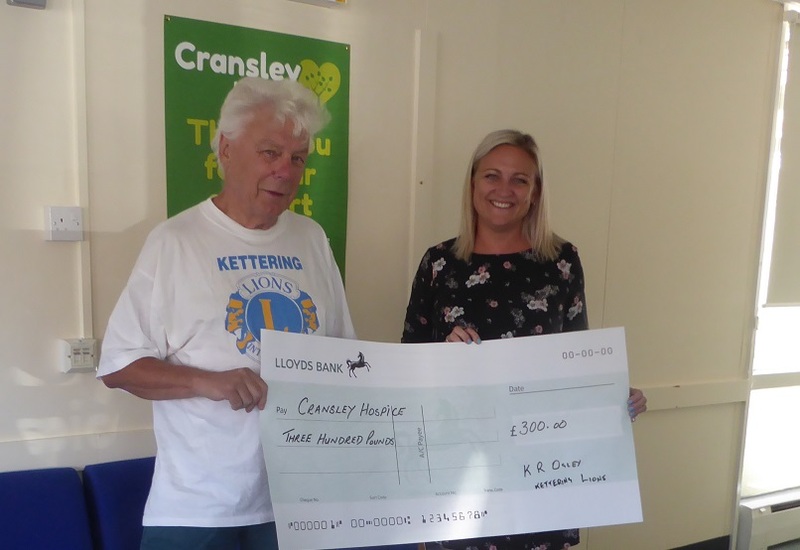 As well as undertaking fundraising events Kettering Lions organise outings and events for the local community, including the much enjoyed Christmas parties for deserving Adults and Children. Summer events include a summer tea party for the elderly, adult summer disco, raffle collection (partly to raise money for the Air Ambulance), summer Family Fun Day and a fundraising 'race night'. "If you think you are too small to make a difference, try sleeping with a mosquito..."